Hillary Clinton on Monday called on mental health professionals to create a standardized curriculum to teach middle and high school students nationwide about anxiety and depression. 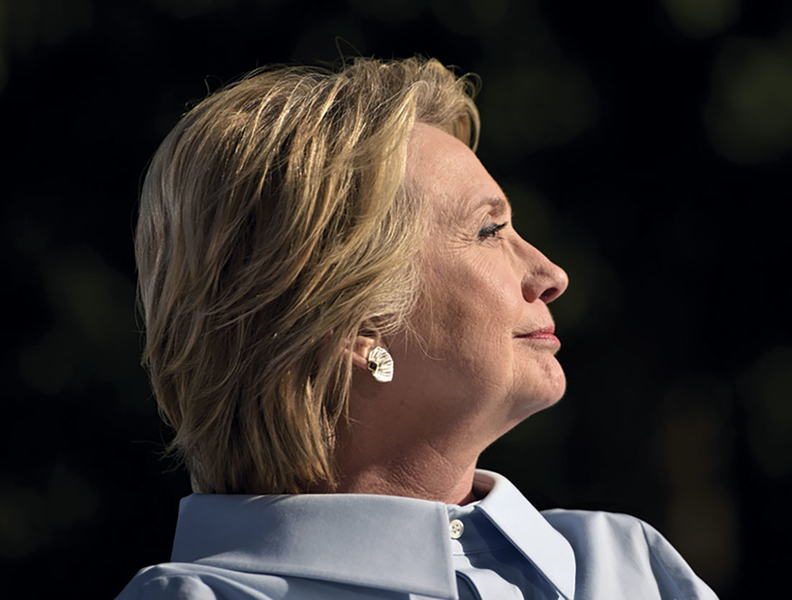 Mental health experts "need to come forward with a curriculum to the boards of education and the administration of school districts and just lobby like crazy to get those into teacher training, into school programming," Clinton said. She was a panelist at a discussion at the Paley Center for Media in Manhattan hosted by the Child Mind Institute, a New York City-based not-for-profit focused on adolescent mental health issues. New York state is considered ahead of the curve in regards to mental health education. In October 2016, Gov. Andrew Cuomo signed legislation requiring mental health issues be included in the curriculum. The law, the first of its kind nationwide, will take effect next school year. The de Blasio administration has also taken steps to address mental health in schools. Two years ago, New York City committed to a four-year, $850 million plan to improve mental health services and expand access to treatment. One of the program's six principles is "act early," with training provided to teachers to educate children in pre-kindergarten about coping skills when facing an emotional challenge. The city also said it would hire 100 mental health consultants to help connect students to services. During the 2016–17 school year, the city opened 54 school-based clinics. "I know here in New York mental health is becoming a much bigger priority for the de Blasio administration, so there might be an open door to push on," Clinton said. "Other places around the country just need that kind of attention and constant persuasion to get it accepted and then implemented." The Child Mind Institute also released its 2017 Children's Mental Health report, which describes adolescence as a critical time for brain development, the occurrence of mental health disorders and substance-use issues. Among the findings: Nearly one-third of teens meet criteria for an anxiety disorder by age 18, and drug use before that age is tied to a heightened risk for dependence. The report also included research on the effects technology is having on adolescent mental health. Eighth-graders who spent more than 10 hours a week on social media were 56% more likely than their peers to say they were unhappy.